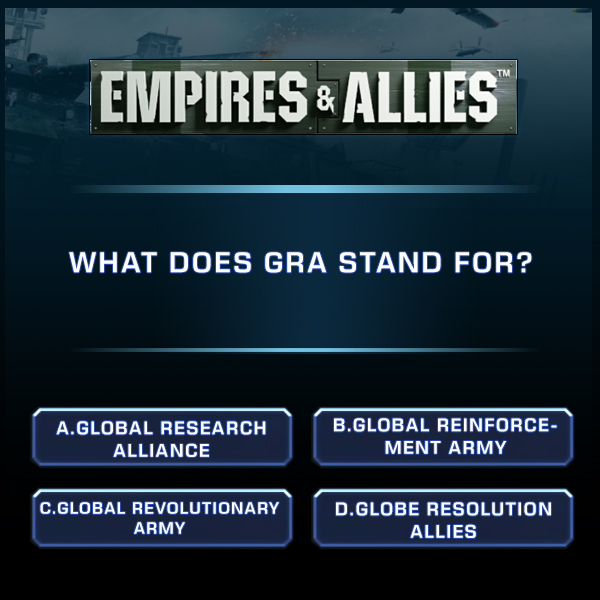 Test your game knowledge, Commanders! Tell us the correct answer, and win a chance to get rewarded. Head on over to our E&A Facebook Page to join the contest. Play now! Great job, Commanders! The correct answer is C. Global Revolutionary Army! Thank you all for your participation, and stay tuned for more #contests and #updates.